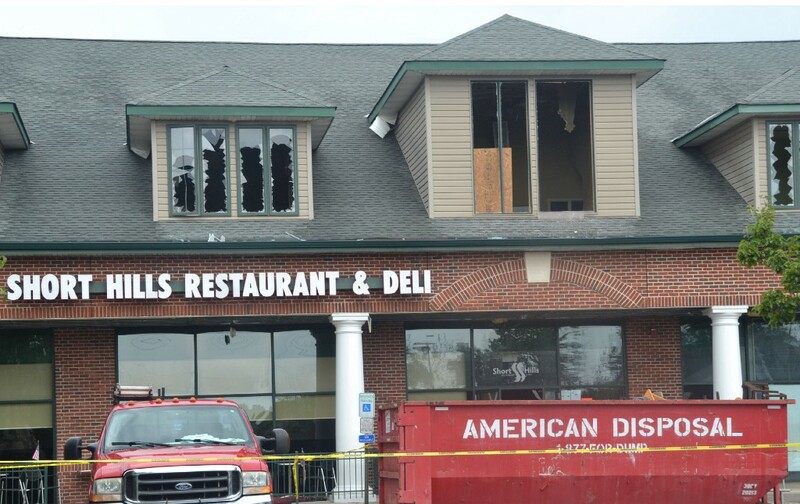 Short Hills Restaurant and Deli suffered its second fire in nine years on Tuesday morning. A fire also took place in January 2008 at the same location. Tuesday morning’s fire at Short Hills Deli in Cherry Hill was not the first one for the restaurant. The two-alarm blaze, which took firefighters 45 minutes to gain control, was the second fire to take place at the restaurant in less than a decade. In January 2008, a fire damaged the restaurant, closing it for most of the year. Here’s how Tuesday’s fire compares to the fire from 2008. Flames shoot out of Short Hills Restaurant and Deli during a fire in January of 2008. 2008 — The fire happened on Friday, Jan. 4. Fire officials received a call shortly after 2 p.m. reporting flames toward the rear of the deli. Once firefighters arrived, heavy smoke was coming from the deli and customers were being evacuated out of the building. 2016 — Unlike in 2008, Tuesday’s fire took place in the middle of the night. Cherry Hill firefighters were dispatched to Short Hills Deli shortly after 2:30 a.m. after receiving a report of an automatic fire alarm. Before fire personnel arrived, the Camden County Communications Center reported smoke and fire were visible from the building. Flames burn during the 2016 fire at Short Hills Restaurant and Deli. Photo courtesy of Cherry Hill Fire Department’s Facebook page. How intense was the blaze? 2008 — The fire was a three-alarm blaze in which 50 Cherry Hill firefighters and about 20 from surrounding communities were needed to put it out. The fire started in an exterior, fenced enclosure with a shed, boxes and other combustibles. It grew in intensity quickly after the fire extended into the roof soffit of the building. A gas meter failed, allowing the fire to become gas fed, and spread rapidly into other parts of building, including the office suites on the second floor. 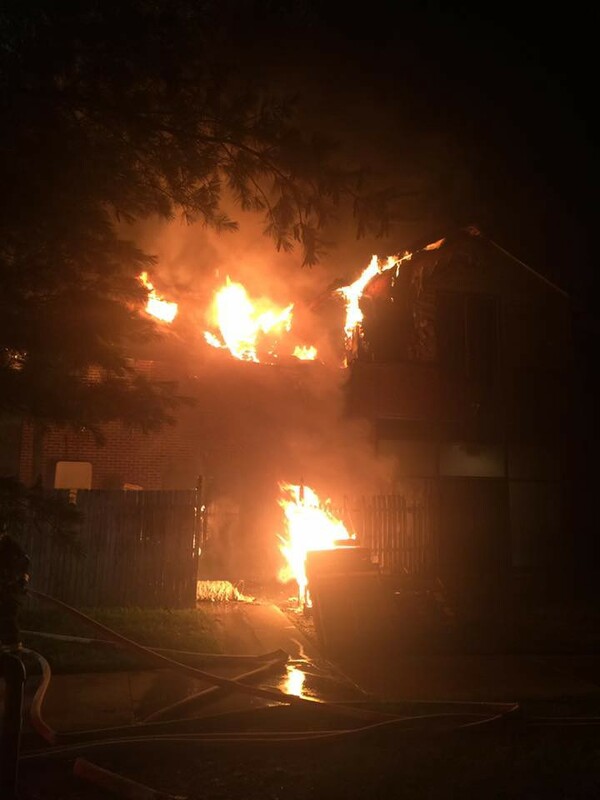 2016 — Tuesday’s fire was a two-alarm blaze. All Cherry Hill Fire Department units were on the scene and second alarm units were staged at the nearby ShopRite on Evesham Road before being used for relief. A large exterior fire on the west side of the building was originally reported. Like in 2008, the fire extended into the second floor roof soffit area of the building. Hose lines were set up to knock down the exterior fire while other crews stretched an attack line to the interior second floor of the building. Firefighters work on putting out the flames in the 2008 fire at Short Hills Restaurant and Deli. 2008 — An investigation from the Cherry Hill Fire Marshal’s office determined a discarded cigarette was carelessly tossed in the exterior, fenced enclosure next to Short Hills Deli. The cigarette allowed the combustibles in the area to ignite, starting the fire. 2016 — A cause for Tuesday’s fire has not yet been determined. The Cherry Hill Fire Marshal’s office is continuing to investigate the incident. Numerous workers were seen clearing out debris and tossing it into a dumpster outside of Short Hills Restaurant and Deli on Wednesday following the 2016 fire. 2008 — Even though the fire took place during the afternoon with customers in the deli, no injuries to anyone were reported. 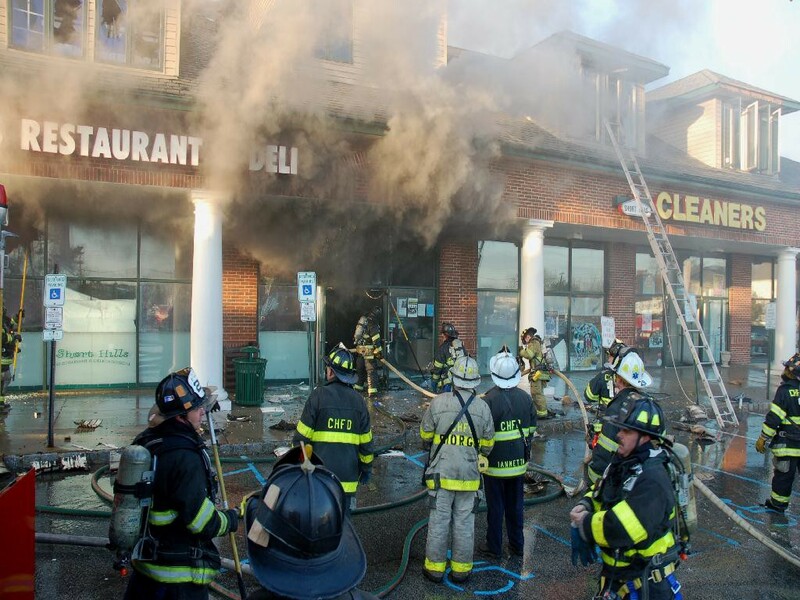 Cherry Hill Police were credited with evacuating customers quickly when the fire started. In addition, Executive Assistant Chief of the Fire Department, Thomas Fiorentini, was having lunch in the restaurant when the fire began and was credited with assisting with evacuating many of the surrounding businesses and the second floor offices. The Short Hills Deli was closed for much of 2008, but was able to rebuild and reopen later in the year. 2016 — Like in 2008, no injuries were reported following Tuesday’s blaze. Despite having a fire consume their business for the second time in eight years, the owners of Short Hills issued a statement on Facebook saying they would again rebuild the restaurant. They also thanked the Cherry Hill Fire Department for their quick response to the fire.